Metallic green and blue glittering art glass and electroformed with copper. The copper is oxidized to a warm bronze. 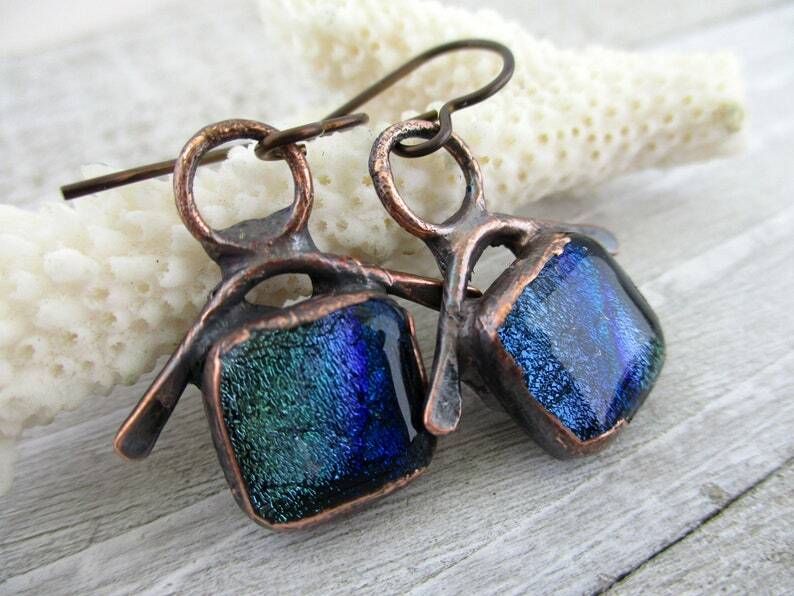 Hung on niobium earwires, these are one of a kind and they are ready to ship. The whole process of creating these has multiple steps and takes several hours to days to complete.